(Orlando, Florida) June 18, 2015 – Medix Care Management, a team within Medix focused on workforce solutions for case management organizations during times of new program development, cyclicality and increasing membership, will be attending the CMSA 2015 Conference & Expo on June 23-26 in Orlando, Florida. Medix National Director of Care Management, Ken Williams, will also be presenting a symposium on Wednesday, June 24. During the symposium, attendees will hear about behaviors and drivers behind today’s care management workforce, strategies for driving higher performance within teams and tips for building a long-term sustainable workforce. Participants can also connect with the Medix team at Booth 824D. 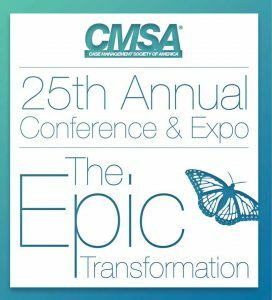 CMSA’s annual event offers in-depth sessions covering top industry issues, as well as plentiful networking opportunities. It also allows case managers and allied health care professionals to return to their day-to-day mission ready with the latest knowledge. This entry was posted in Medix Newsroom and tagged case management, CMSA, conference, Medix Care Management. Bookmark the permalink.